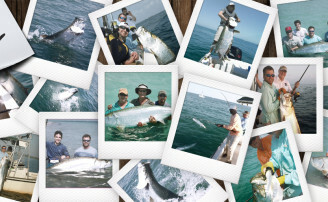 Winter time Tampa Bay Sheepshead fishing is a fun and challenging way to spend a cool afternoon. 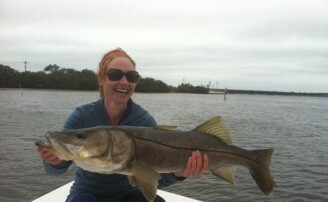 Sheepshead is available to anglers in the Tampa bay area year round, but January and February, are the very best months. 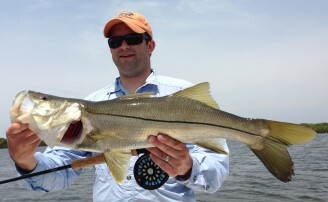 This is the time of year they are spawning, and the larger sheepsheads are everywhere throughout Tampa Bay and near shore area underwater structures. They are finicky biters and a challenge to hook, but once you get your timing down and your hook set you can load the boat with them. 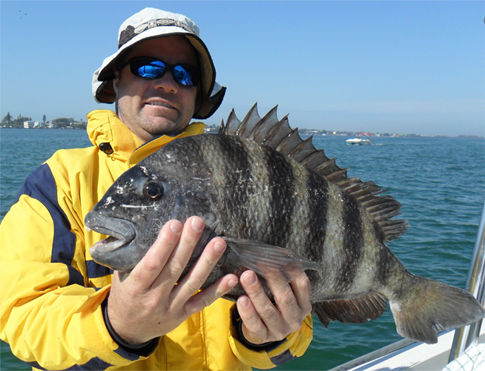 The limits on sheepshead are very liberal at 15 per person, and they are great to eat. Good keeper sizes average 2 to 6 pounds. While large ones run 8 to 9 pounds. Occasionally they do reach over 10 pounds.